Welcome to the World's Most Inviting Lake! How would you like to enjoy a relaxing day of ultimate tranquility beside Lake Biwa, led by warm-hearted local tour conductors? 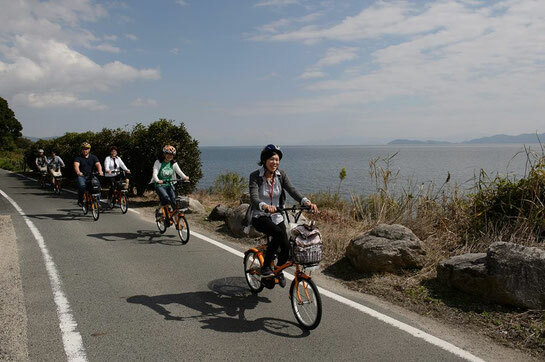 Tour du Lac Biwa conducts friendly tours of the scenic west shore area of Lake Biwa for visitors from overseas. The concept of the journey we provide is the everyday lives of lakeside residents. For people in the rest of the world, everyday life in Japan is something wonderfully different. 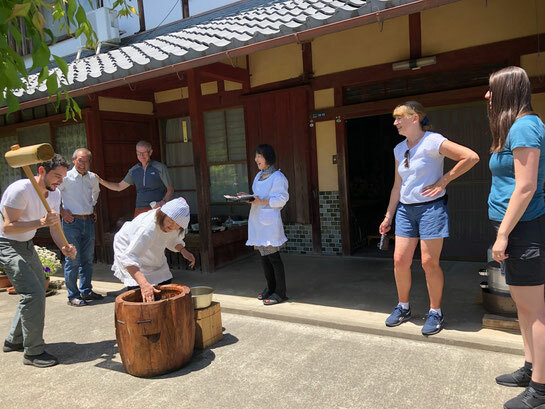 Our program, popular among Japanese and non-Japanese alike, includes an enjoyable handmade lunch at a 200-year-old folk house or a visit to a farmer's house where you'll be served fresh vegetables and rice. 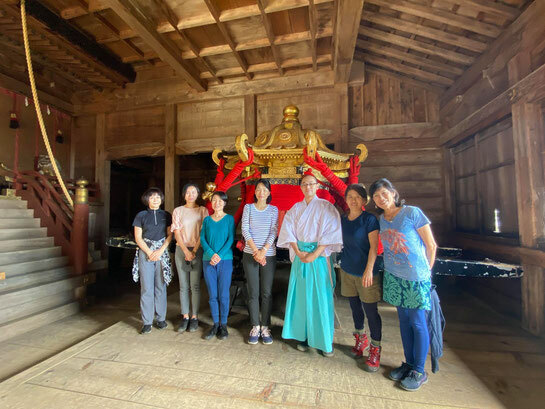 Tour du Lac Biwa also offers experiences only locals like us could arrange, such as an intimate tour to see friendly traditional artisans at work. And of course no matter where we stop on our journey, you will receive a warm welcome. 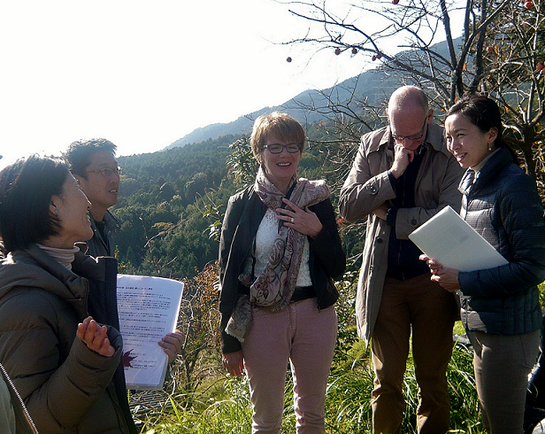 We have one more reason for arranging such tours providing an up-close and personal look at life here. Living here in Japan, we have a culture that carries on the traditions of generations of our ancestors—a culture that has lasted through the ages. However, changes in the industrial establishment, a falling birthrate, an aging population and other factors mean we came to see many elements of this culture fall into sad obsolescence. Deserted folk houses, symbols of harmonious households for over a century; fallow fields of our ancestors; and modest festivals meant to symbolize the spirit of mutual aid yet largely devoid of revelers... We found these sights heartrendingly unbearable. It is under these circumstances that we married Japanese women decided to try and do something about it in our own way. 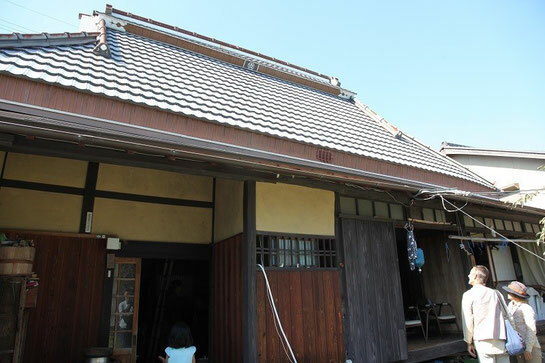 In the eyes of people from outside Japan, the marvelous everyday living we maintain in this area is far from being a commonplace lifestyle of no special value, but rather something to be commended, and we think that could inspire confidence for the people who make their home here. This was the hope we held as we recruited each person to assist us in this project, and in July 2014 we started up Tour du Lac Biwa. Your navigators on your journey to the world's most inviting lake will be married Japanese women living in the area who will serve as your super-friendly bilingual tour conductors. Our greatest joy is for your experience with us of the everyday lives of lakeside residents to become something you will remember for the rest of your life.